Hi everyone! Welcome to another installment of that insanity that we call the Tarot Blog Hop. Today's theme is Office Party. And at a Xmas office party, there is always someone who gives out a present that the only proper response is "Oh...you really shouldn't have." And I am that guy. I thought about sharing my latest project....but that might actually not be a white elephant. 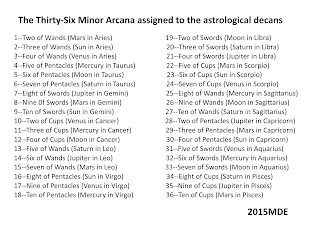 Then during a reading for a friend, I caught myself using the mnemonic titles that Golden Dawn uses for the thirty-six cards that are associated with the decans of the zodiac. And the thought went though my mind, that a mnemonic is exactly the type of thing that some people will go, "Oh, you really shouldn't have." 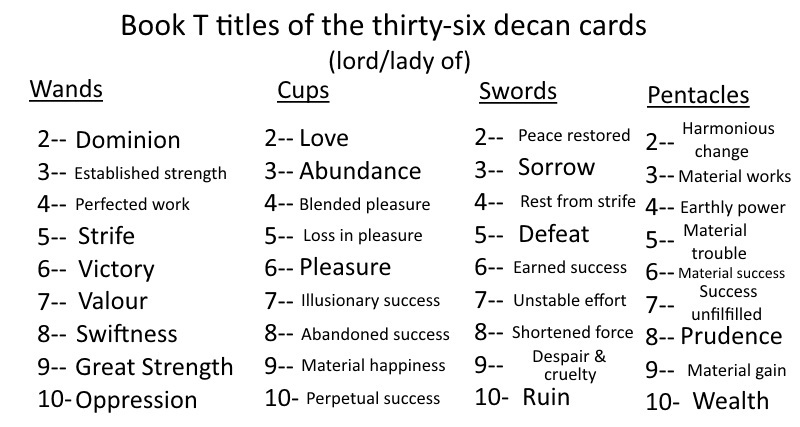 So here is my gift to you, a completely useless mnemonic for the thirty-six decan cards (keyed to the Rider-Waite-Smith tarot deck and Book T of the Golden Dawn system). 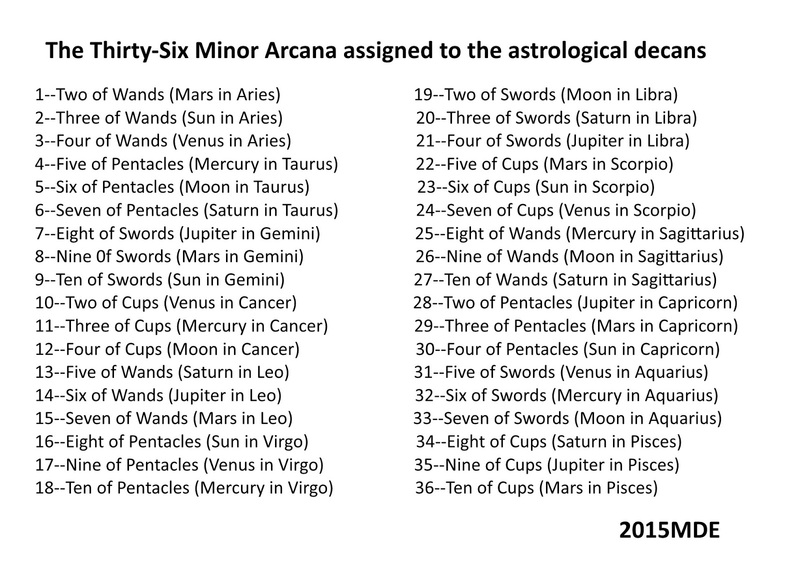 The thirty-six cards that are assigned to the decans. 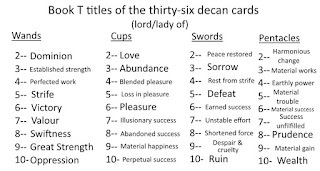 The titles of the decan cards from Book T.
Two rulers oversee the creation of dominions. Three merchants await groundbreaking vessels. Four celebrating dancers practice perfection. Five day-traders chaotically compete to build. Six Caesars parade in justified victory. Seven outnumbered warriors bravely holdfast. 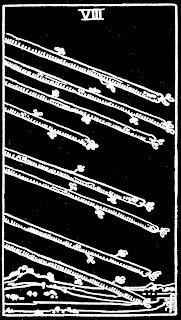 Eight meteorites swiftly communicate omens. Nine prisoners survive backstage might. Ten looters protest selfish oppression. Two lovers unify in harmonious mirth. Three maidens overflow with fortune. Four yogis mediate on passive endings. Five mourners stress over treachery. Six children exchange vain pleasure. Seven dream poison perception of success. Eight travelers moan seeking of goals. Nine bankers brag of sins and conceit. Ten rainbows rain down lasting pleasure. Two hostages sacrifice to restore peace. Three hearts lament Loki's discord. Four coffins shelter honored causalities. Five vultures cowardly slander allies. Six ferries cross troubled waters. Seven thieves spy on exhausted combatants. Eight prisoners impulsively hammer trifles. Nine nightmares burden with cruel despair. Ten murderers plot disruptive ruin. Two jugglers foolishly gain and lose. Three bureaucrats design impossible infrastructure. Four misers covet their petty prejudices. Five beggars suffer toil and trouble. Seven gardeners slave over miserable barrenness. 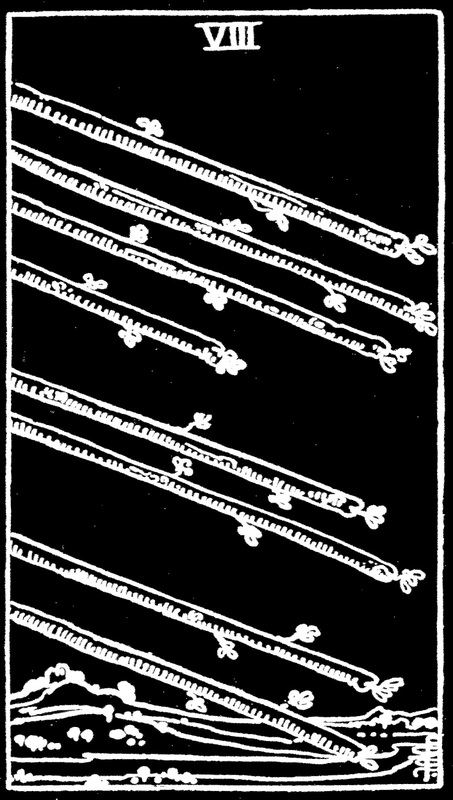 Eight apprentices carve talismans cautiously. Nine songbirds sing of sweet increase. Ten siblings plot over ancestor's wealth. So there you go, one white elephant Xmas present. Yes, I know--I really shouldn't have. But hopefully, the rest of the tarot office party is not as bad. Why don't you check out some of the other blogs by clicking on the links below.